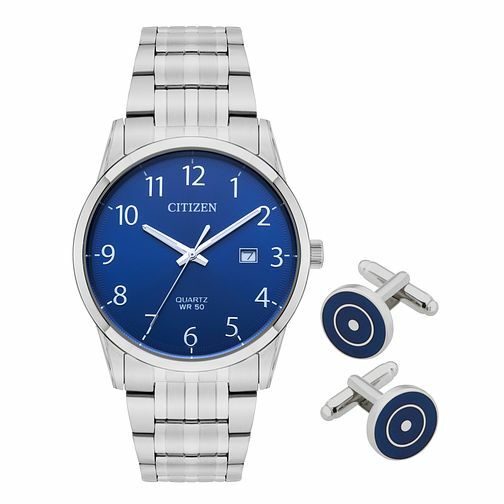 This stylish men's watch and cufflink set from Citizen is a perfect balance of style and function. A striking blue dial complete with date box is accented with silver tone detailing to create a stylish finish with a stainless steel bracelet strap. This quartz movement watch is also water resistant to 50 metres. This watch comes with a matching blue target-design cufflinks set to complete the perfect look for the modern gentleman.